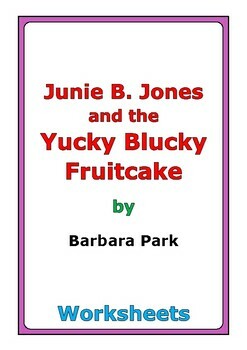 This is a 24-page set of worksheets for the story "Junie B. Jones and the Yucky Blucky Fruitcake" by Barbara Park. 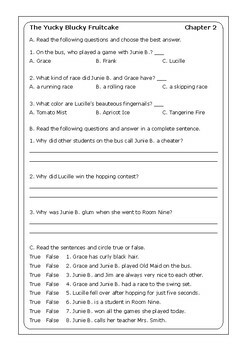 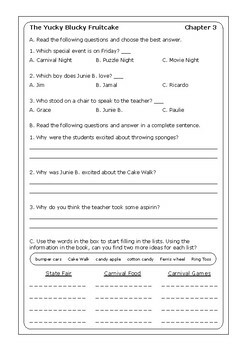 For each chapter, there is one worksheet with comprehension questions. 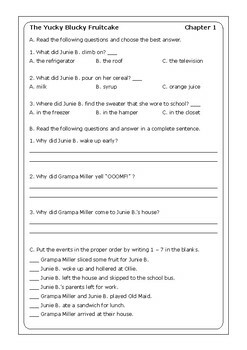 Also, there is an answer key at the end of the file.